One of the best things about Assassin's Creed: Black Flag (and, later, Rogue) was the ship-to-ship combat out at sea. Large sailing ships from back in the day were hard to manoeuvre and difficult to control, and this gave ocean combat a very different feel to any other type of conflict you could imagine. Ubisoft, thanks to its Singaporean studio, absolutely nailed that combat, and many of us were quite sad when the Assassin's Creed series went back to being landlocked. Now that same Singaporean studio has been given the lead on a product that is all about the ship combat. 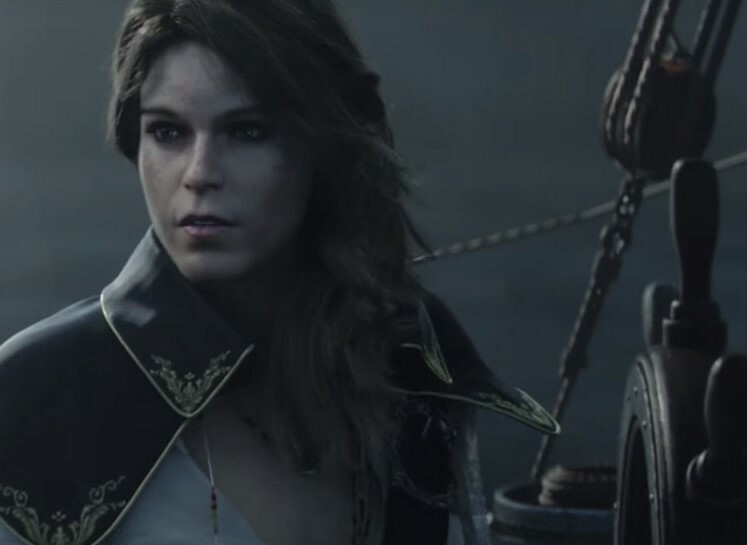 Skull & Bones is a five-per-side pirates-vs-the-law ship battling game that was unveiled for the first time at E3 this year, and it looks absolutely spectacular. From what we can see in the trailer, all the naval strategies are there; you can ram opponent's ships, or initiate a boarding action. Because making sharp turns is out of the question, you need to be careful about positioning and maneuvering, making this a more cerebral kind of action game. And it just looks gorgeous, with amazing water effects and detailed ships (that you seem to have a lot of customisation control over). We were worried that it would be a multiplayer-exclusive game, but while the multiplayer is a clear focus of Skull & Bones, we're also being teased some kind of single player narrative. What form that takes is too early to tell, but on every level it looks like Ubisoft is on to a winner here, and this is one of those E3 nice surprises that makes the event so much fun to follow.